Palm Coast, FL – Hammock Beach Resort is making it easy to celebrate Mother’s Day on Sunday, May 13 with two brunch options. Cruise the Intracoastal Waterway while dining from 10 a.m. until noon aboard the resort’s 117-foot yacht, Sundancer. Choose from fresh fruits and berries, fresh seafood, pastries, bottomless Bloody Marys and much more. Boarding begins at 9:45 a.m. The cost for is $47.50 for adults and $15 for children (4-12). Reservations are required by calling (888) 252-6294. 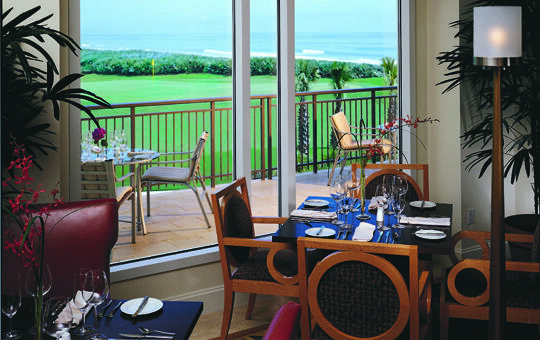 Beachside at the Atlantic Grille, reservations begin at 7 a.m. and last until 3 p.m. Brunch features Belgian waffles and omelettes made-to-order, as well as hot and cold display that includes fresh seafood and leg of lamb. The cost is $19.95 for adults and $9.50 for children (4-12). Reservations are required by calling (386) 447-4610.